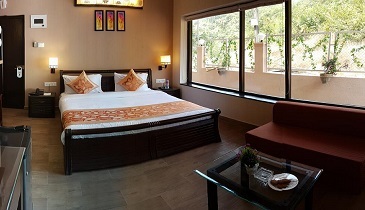 Economy Class Airfare (Delhi - Goa - Delhi) on GoAir / IndiGo, 3 + 1 Night Free Accommodation at La Sunila Suites (on twin sharing basis), Meals as per Meal Plan, Return Airport transfers by AC Vehicle on Sharing seats basis, All applicable Hotel & Airline taxes. Per person cost is calculated on the basis of Minimum 02 adults travelling together and sharing one double room. Extra adult is the 3rd person who shares the same double room and is provided with an extra bed or roll away mattress. Mostly the hotels allow 03 adults in one double room with an extra bed or 02 adults and 02 children below 12 years of age with one extra bed. All the guests (husband, wife & adult children) are requested to carry their photo identity proof in original & a photocopy to be produced & handed over at the time of Check In at the Hotel / Resort. This is mandatory. Please reach the airport 2 hours before the departure of the flight. In flight food and beverages are on chargeable basis. Kindly reconfirm the departure terminal and the flight schedule from the airline before leaving for the airport. Web check in is not possible in our group packages. In airline no seat is provided to Infant. 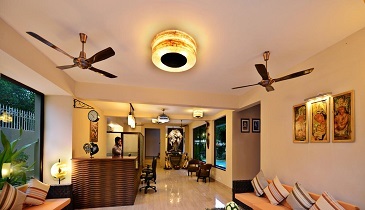 Complimentary Arrival / Departure transfers are provided as per schedule fixed by the hotel. However this may require you to wait at the airport for short duration (1 to 2 hour). Guests are requested to remain patient in their sitting area until all the booked passengers have boarded the vehicle. Unless otherwise specified, all Complimentary transfers are provided by Non air condition vehicle only. Private transfers in air condition vehicle can be arranged at an Extra cost (Please check the cost at the time of making reservation). To avail the arrival transfers please check the hotel representative holding the placard of your name / hotel name. Transfers and Sightseeing tours are on SIC (seat in coach) / shared basis. In hotels for an extra Adult / Child either Rollaway bed or mattress shall be provided. The request for an adjacent or an adjoining room will be on subject to availability. Room allocation (Twin bed / Double bed) is at the discretion of the hotel. The check in and check out time of the hotel is 2 PM to 12 Noon. Numbers of meals are always corresponding to the number of nights booked. Breakfast is not provided on the day of arrival. For early check in and late check out the payment is to be settled directly by the guest. Hotel has the right to claim the damages incurred by any of the guest. The guests are requested to take care of their personal belongings carefully and avoid leaving them unattended. Proper swim wears are necessary to avail the swimming pool facility. If Boat cruise is included in the package, then Please note that it is an outsourced facility and the hotel has no control on the profile and behaviour of fellow passengers on board, moreover the hotel is not responsible for the safety and security of the in-house guests availing the same. Cost of additional services availed by the guest which are not part of our package inclusions are to be settled directly at the hotel. Mini bar facility available in the hotels is on chargeable basis. Buffet meal will be provided at fixed venue decided by the hotel. These are the standard buffet timings observed by the hotels. 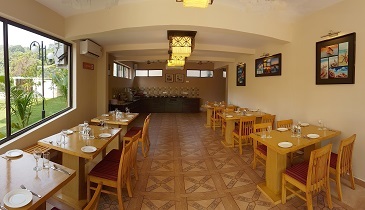 Still you are kindly requested to check the perfect buffet timings at the time of check in at the hotel. Once the buffet time is over the hotel might ask you to pay for your meals. It is mandatory to carry the age proof of children (02 to 11 yrs) and infant (below 02yrs) along with other travel documents. Child above than 11 yrs shall be considered for an adult cost. 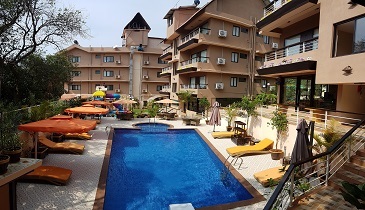 This hotel is suggested on the basis of the feedback taken from our customers. Still we request you that before finalizing the tour with us kindly go through the website of the hotels and read the reviews. Airlines tickets once issued are Non Refundable. If cancellation is made any time not less than 30 days prior to departure, Rs. 7,000/- (per person) shall be deducted. If cancellation is made 30 to 15 days prior to departure, 75% of the tour cost shall be deducted. If cancellation is made within 15 days prior to departure, 100% of the tour cost shall be deducted.